It’s been more than three years since the then-White House cyber czar Michael Daniel said he wanted to kill the password dead. But most citizen and business facing sites across the government continue to rely on the dreaded username-and-password approach to validate the user’s identity. Marshall Henry is a program manager in the Office of Financial Innovation and Transformation in the Bureau of Fiscal Service. This is why the Treasury Department’s Bureau of Fiscal Service is taking on user authentication, which many consider one of the most challenging technology projects the federal government has faced over the last 20 years. 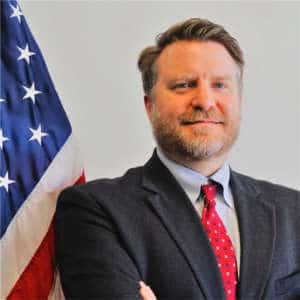 Marshall Henry, a program manager in the Office of Financial Innovation and Transformation in the Bureau of Fiscal Service, said the bureau has developed a strategy and vision to apply two-factor authentication to its service and finally kill the password dead. Henry said BFS will develop an enterprise hub for all programs to authenticate its citizen and business customers. Henry said the bureau still figuring out is implementation schedule for the 10-plus services it offers. The Fiscal Service’s citizen facing services include pay.gov, which lets people pay a debt owed to the government, and the Electronic Federal Tax Payment System (EFTPS), which lets citizens and businesses pay their taxes online. Henry said the bureau is focusing on its citizen and business services because it found inconsistent user experiences. Henry said the goal is to make access fast for citizens so the bureau will rely on private sector best practices, but also current federal efforts such as the General Services Administration’s Login.gov service or the ID.me identity management service the Department of Veterans Affairs uses for its customers. Beyond the inconsistent user experience, Henry said there are other drivers pushing the bureau to move to two-factor authentication. Henry said while the bureau is only focused on its internal systems initially, the agency realizes there may be opportunities to share their approach or provide it as a shared service of sorts in the longer-term future.